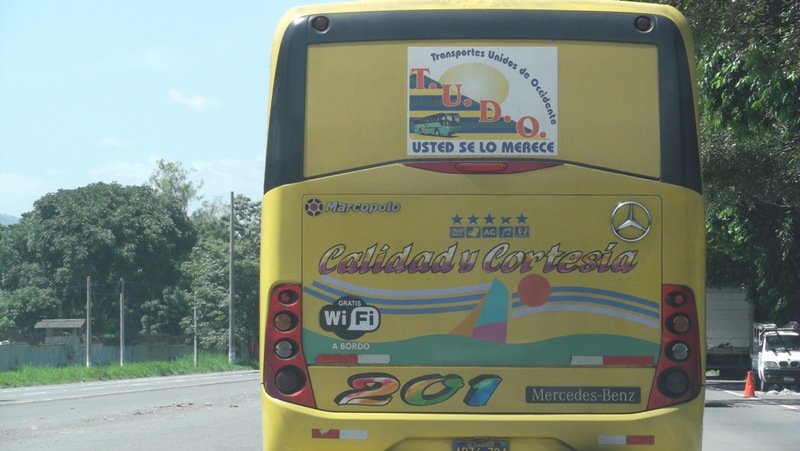 Are you thinking of traveling in El Salvador from San Salvador to Santa Ana. I did it by car, but this is the bus I saw en route on the highway. If looks nice. it is a new looking Mercedes-Benz and has free wi-fi (gratis).